Which comes first standards or self-regulation? | What do self regulation and standards based education have in common? Which comes first standards or self-regulation? Actually they are compatible entities that should be activated simultaneously. If standards are transformed into goals the cycle begins when the student is in the forethought phase beginning to assess his/her strengths and weaknesses for a specific task. With all the chatter about the common core and other standards one wonders why many teachers and administrators are finding standards to be confining and not liberating. 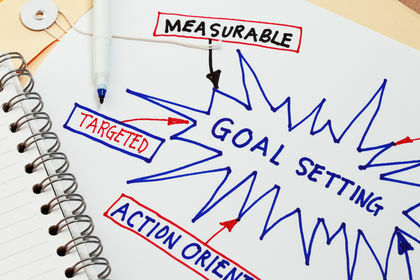 When one has goals that can guide instruction and student performance he/she can operate within a system of goal attainment. Using Imogene King’s Theory of Goal Attainment designed for nursing students and practitioners, I adapted the theory for educators who are interested in developing self-regulated learners by emphasizing the forethought phase. If perceptual interaction accuracy is present in teacher-student interactions, learning will occur. If the instructor and student make transaction, the goal or goals will be achieved. If the goal or goals are achieved, satisfaction will occur. If transactions are made in teacher-student interactions, growth and development will be enhanced. If role expectations and role performance as perceived by the teacher and student are congruent, transaction will occur. If role conflict is experienced by either the teacher or the student (or both), stress in the teacher-student interaction will occur. If a teacher with special knowledge communicates appropriate information to the student, mutual goal-setting and goal achievement will occur. The focus of teaching is the learning process of the human being (student). The goal of teacher is the education and development of both individuals and groups. Human beings are open systems interacting with their environments constantly. The teacher and learner communicate information, set goals mutually, and then act to achieve those goals. This is also the basic assumption of the learning process. Learners perceive the world as a complete person making transactions with individuals and things in the environment. Transaction represents a learning situation in which the perceiver and the task being perceived are encountered. It also represents a life situation in which a person enters the situation as an active participant. Each is changed in the process of these experiences. One can find similarities in the way that King perceives human beings and Bandura perceives the learner. According to King, a human being refers to a social being who is rational and sentient. Which means, he or she has the ability to perceive, think, feel, choose, set goals, select means to achieve goals, and make decisions. According to Bandura, human agency is characterized by a number of core features that operate through phenomenal and functional consciousness. These include the temporal extension of agency through intentionality and forethought, self-regulation by self-reactive influence, and self-reflective ness about one’s capabilities, quality of functioning, and the meaning and purpose of one’s life pursuits (Bandura, 2001). In teaching and learning experiences both the learner and teacher have fundamental needs that include the need to know how the learner sets well-informed proximal goals, In addition, self-regulation begins with both the teacher and learner knowing how to apply it to a specific task; the need for instructional practices that seek to prevent failure.